I upgraded the video card on my main desktop from an aging GeForce GTX 260 to a GeForce GTX 670 that can support for up to four monitors. Additionally I added a 24″ ASUS monitor to serve as the new center monitor. 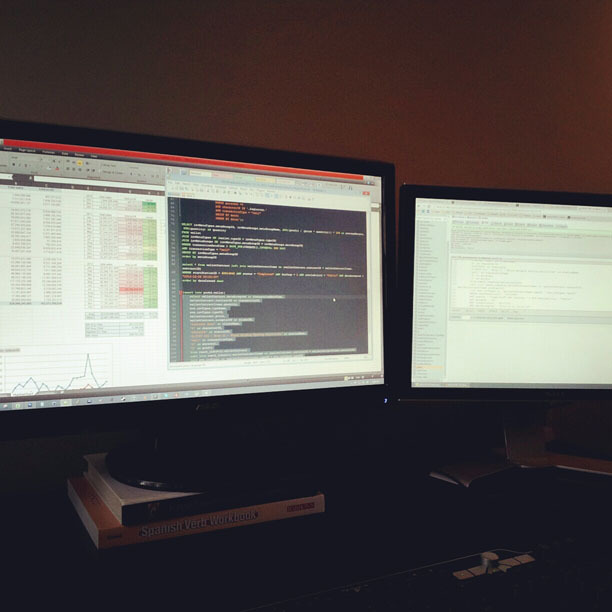 What I thought would be a renewed time of actually playing Eve devolved into a MySQL query session to work on trading and profitability projections. I guess we all play the game differently. I am really impressed with the card’s ability to run three clients at full screen (1 @ 1920×1080, 2 @ 1680×1050) with full effects and HDR enabled. I have a GTX 670, and have been happy with it’s performance and the reasonable temp’s it runs at. I am very much a fan of screen real estate for its big productivity benefits. 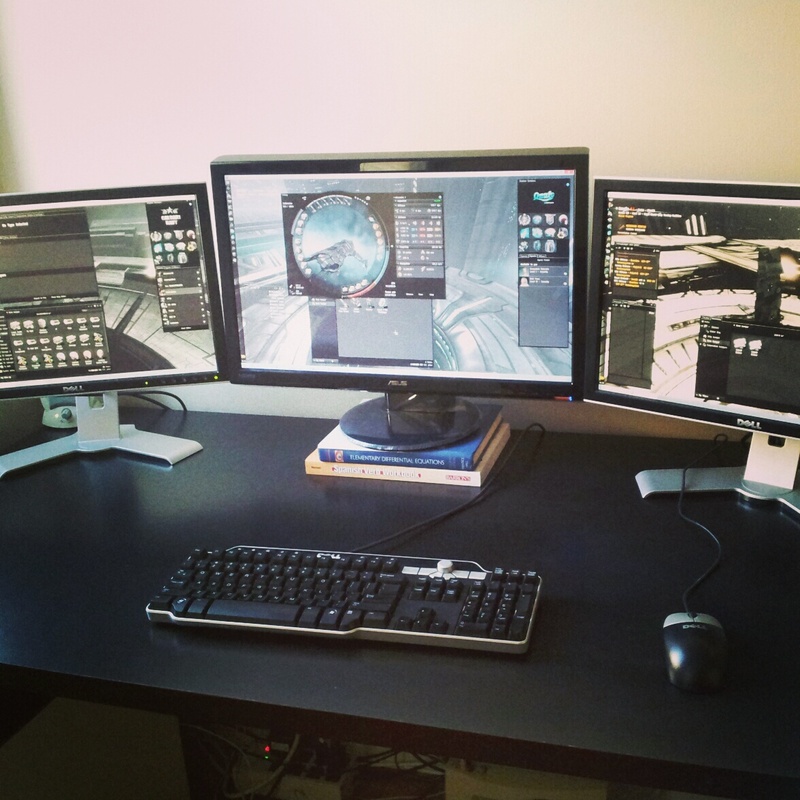 If only I had the room on my desk to upgrade from 2 to 3 screens.